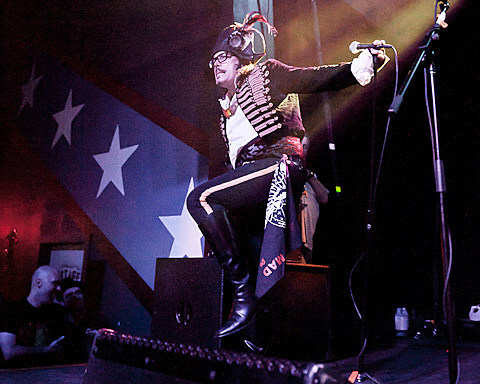 On Tuesday, which coincidentally was “Talk Like A Pirate Day“, the love pirate himself Adam Ant played Emo’s East with his band The Good, The Mad and The Lovely Posse. 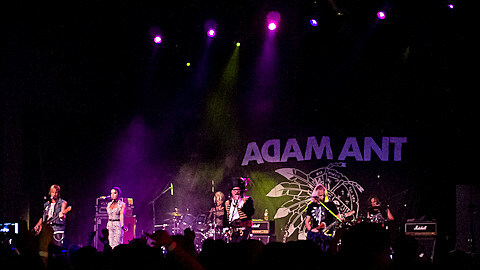 Some pictures from the show, and the full setlist, are in this post. 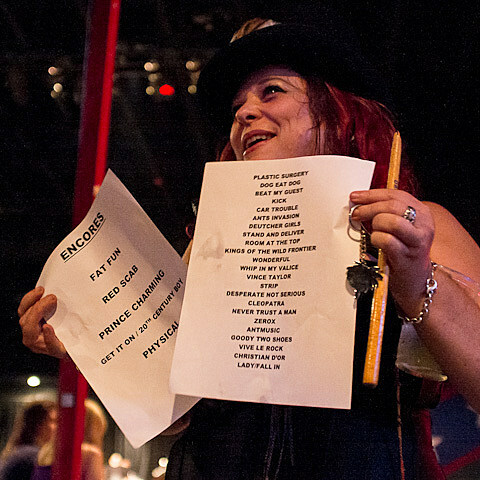 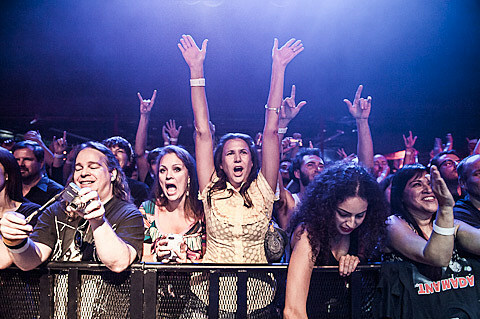 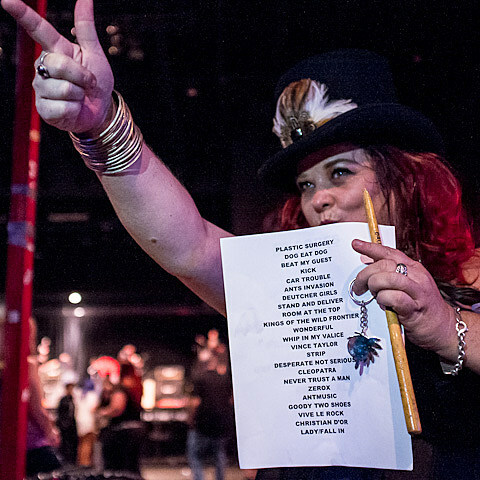 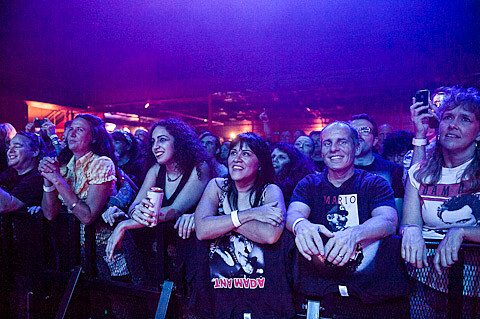 While it has been quite a few years since he’d toured though Austin, he made up for it with a whopping 28 song set, much to the great pleasure of old and new fans alike. 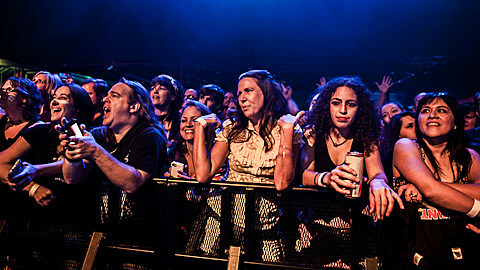 Much singing and dancing, including quite a few swooning sounds from the ladies in the audience, was the order of the day. 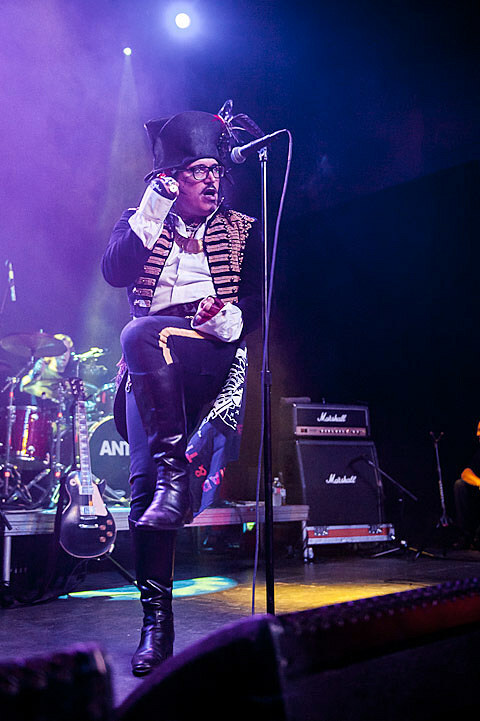 Post-show, there was an 80’s themed afterparty upstairs at Beauty Ballroom next door. 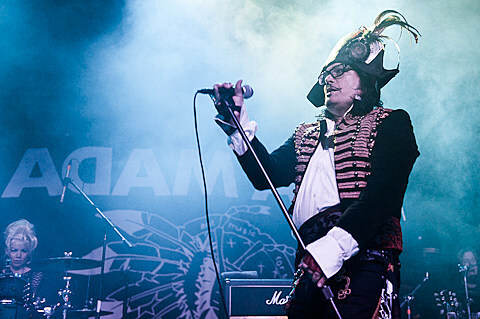 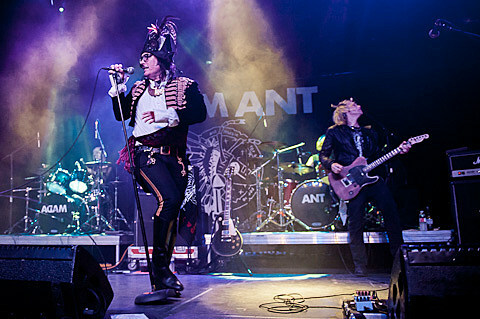 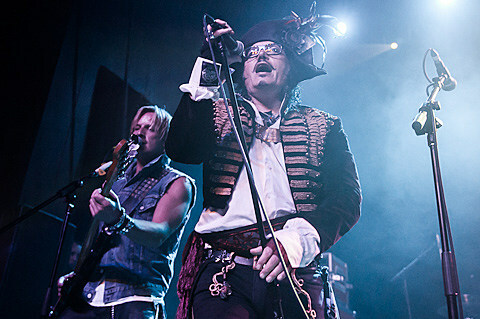 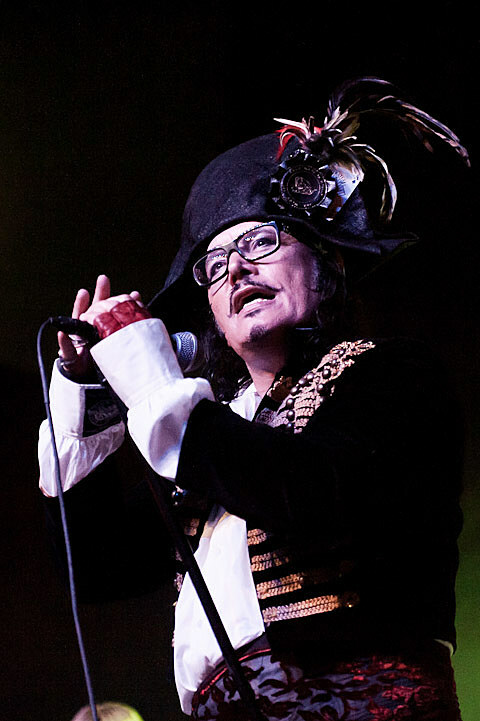 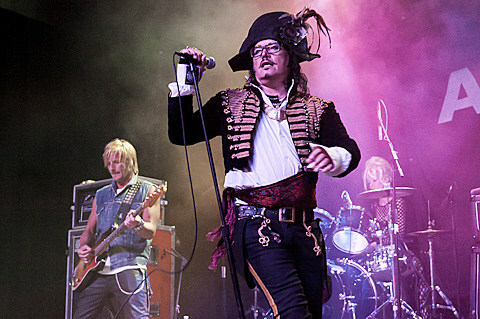 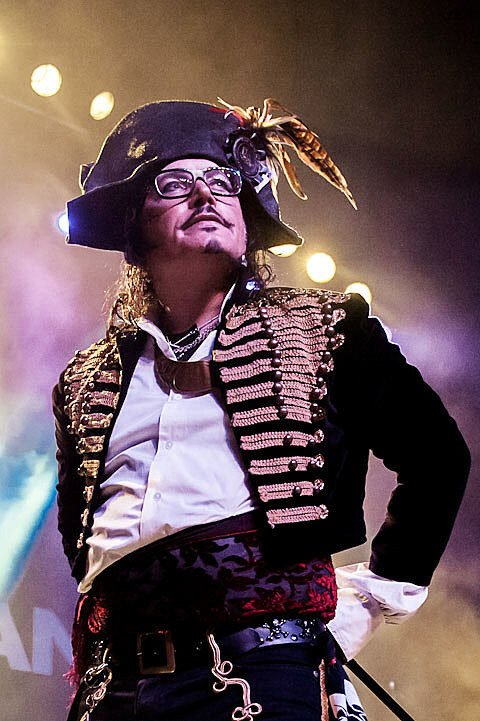 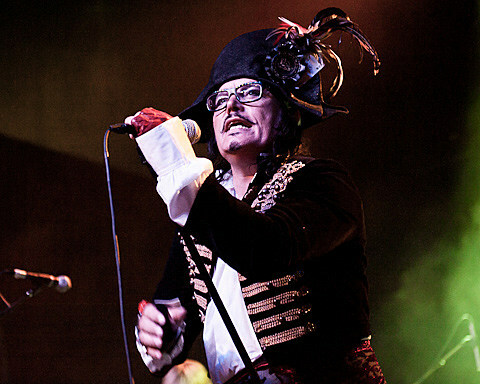 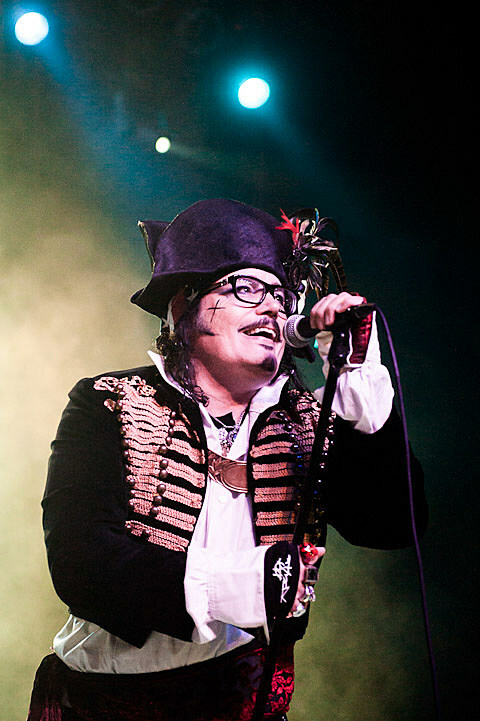 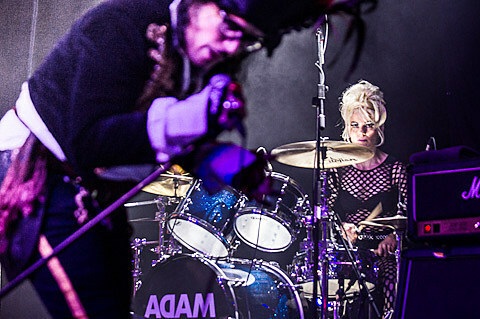 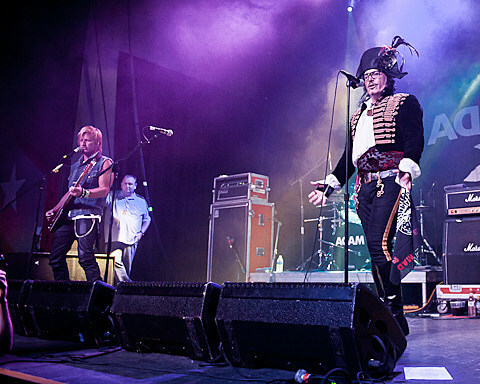 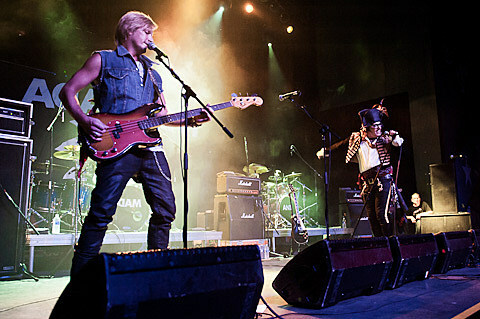 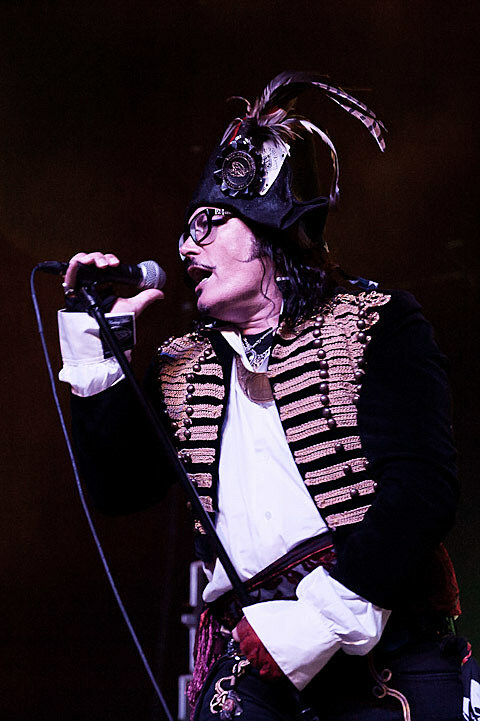 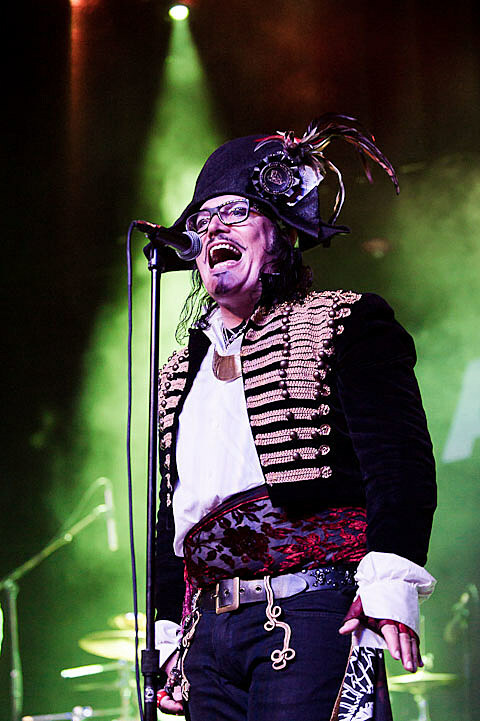 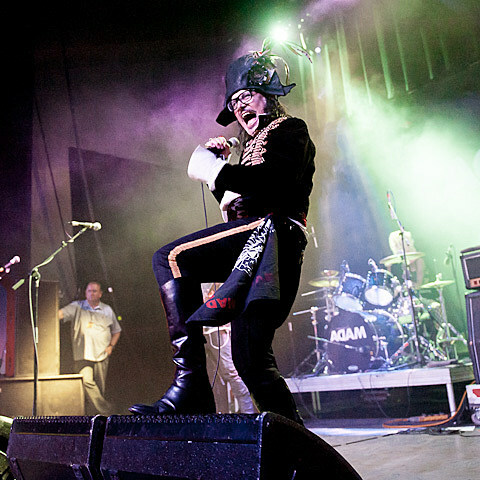 Adam Ant started working on the album in late 2009, originally recording with writing partner Marco Pirroni. 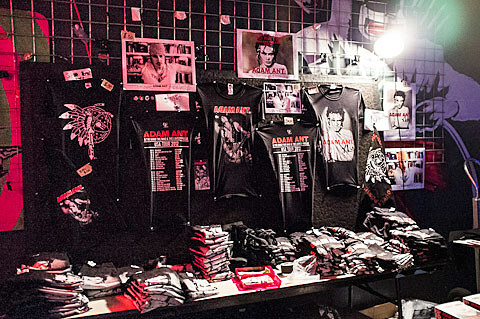 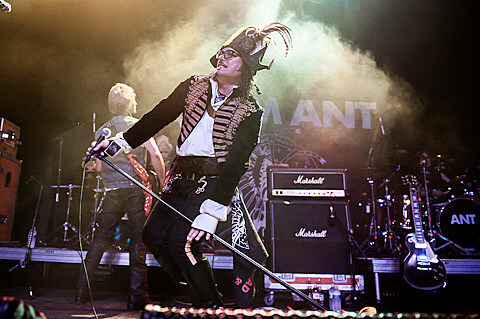 However they separated and scrapped all work around March 2010 coinciding with Ant’s return to live performance. 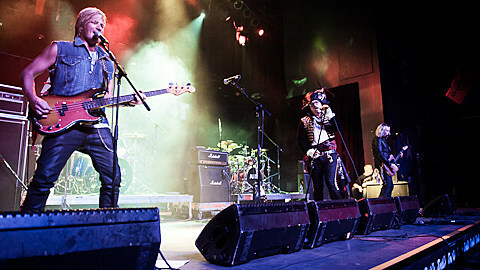 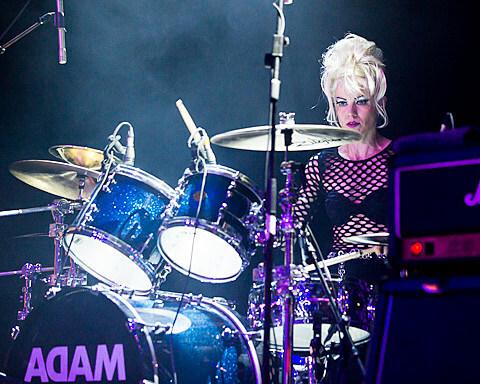 The majority of the double album was recorded with Boz Boorer on a laptop, additionally Chris McCormack co-wrote 6 of the album’s tracks. 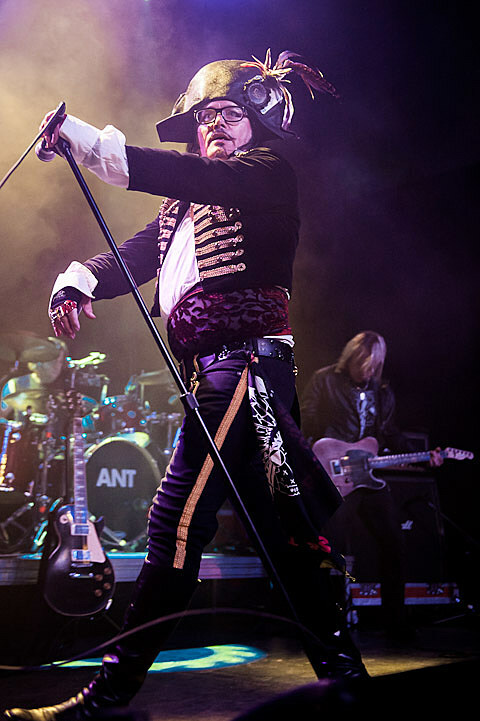 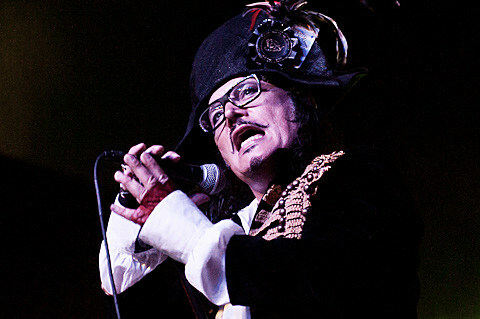 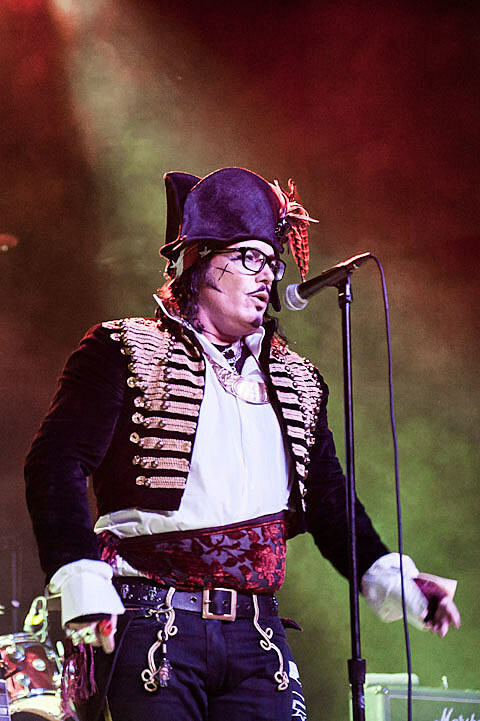 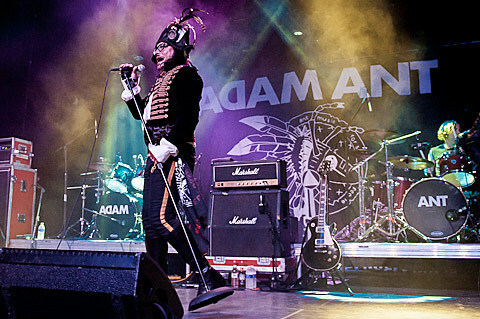 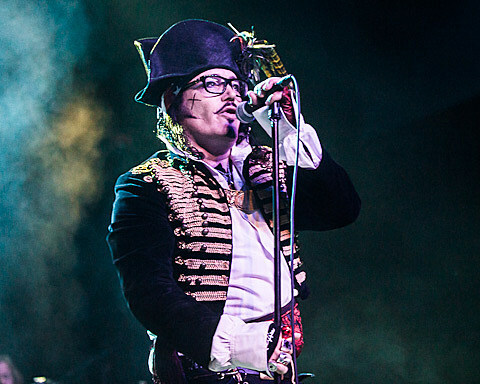 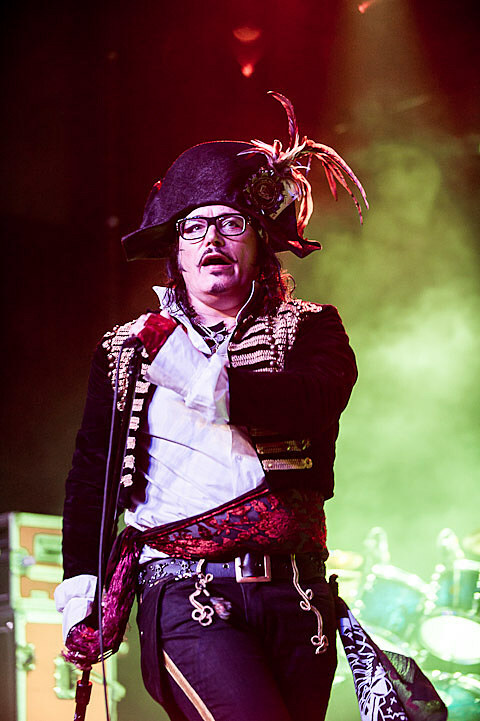 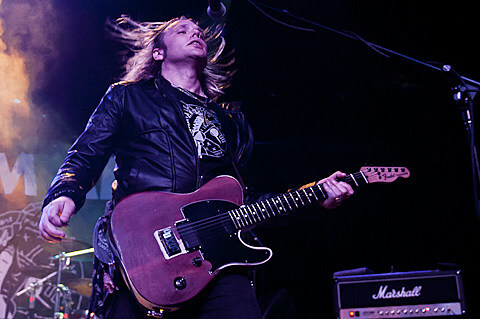 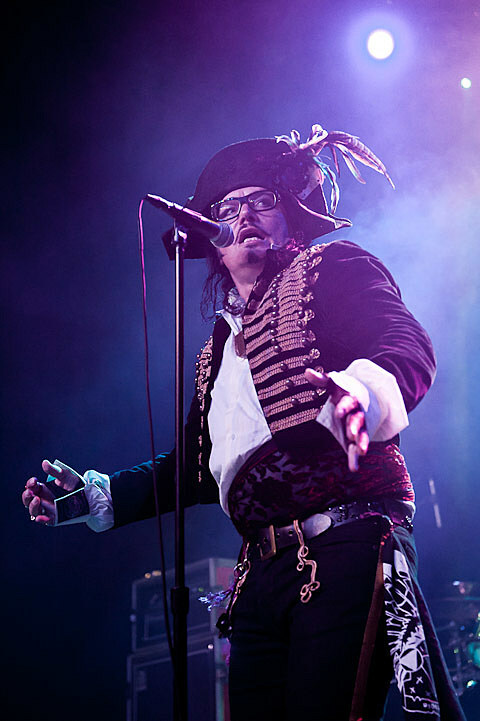 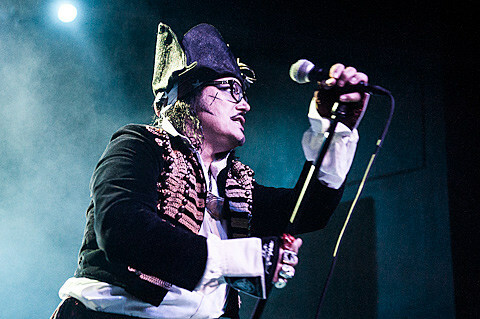 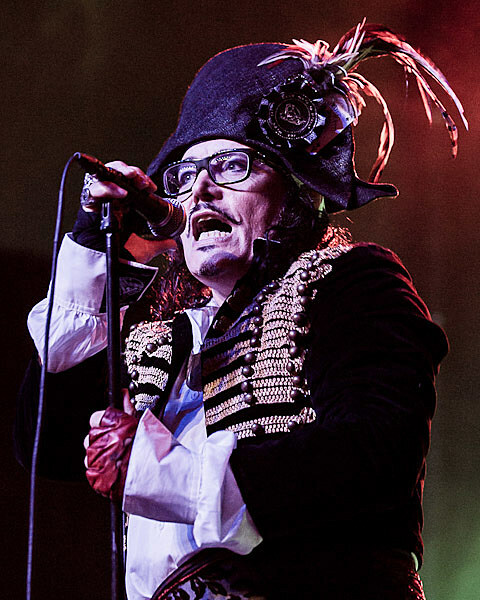 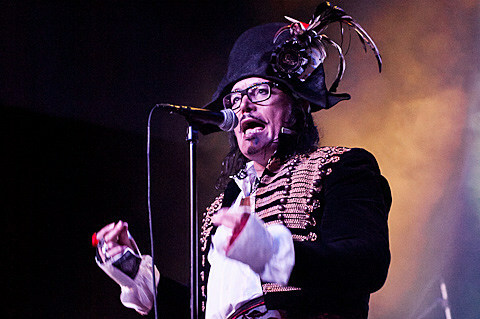 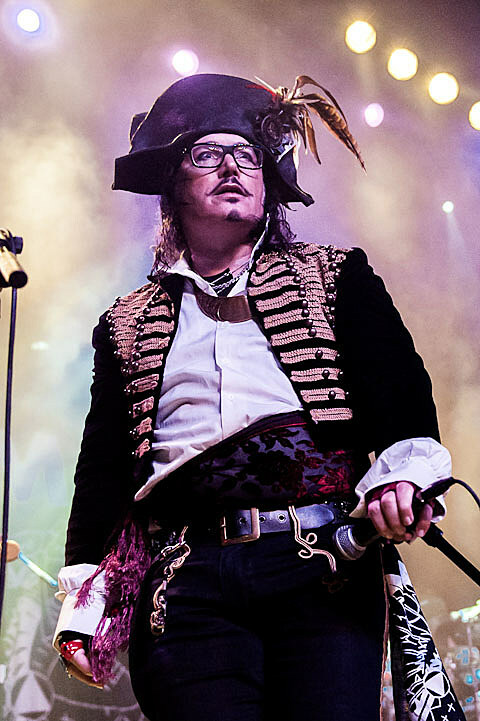 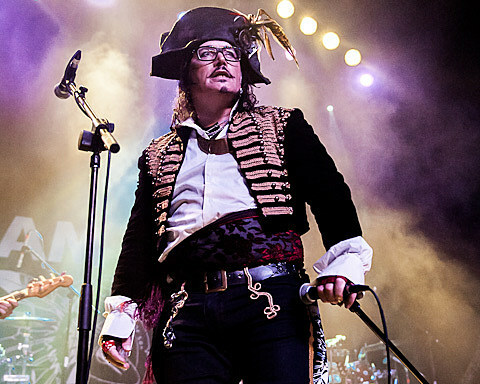 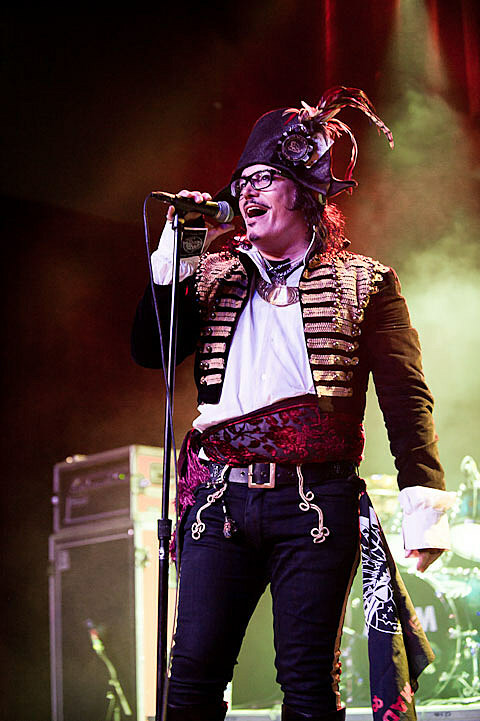 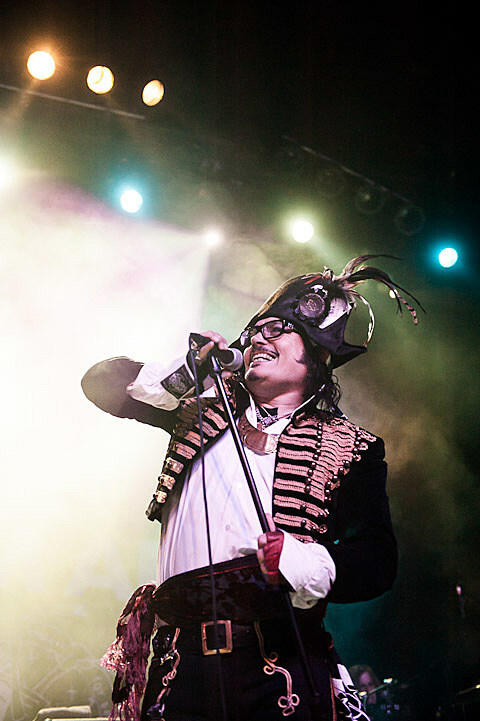 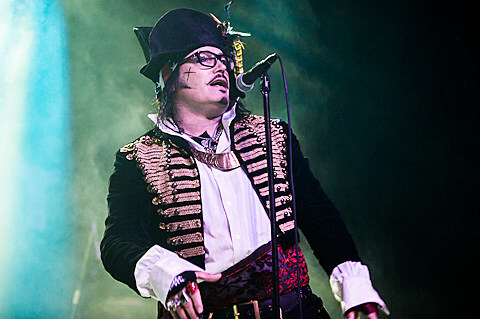 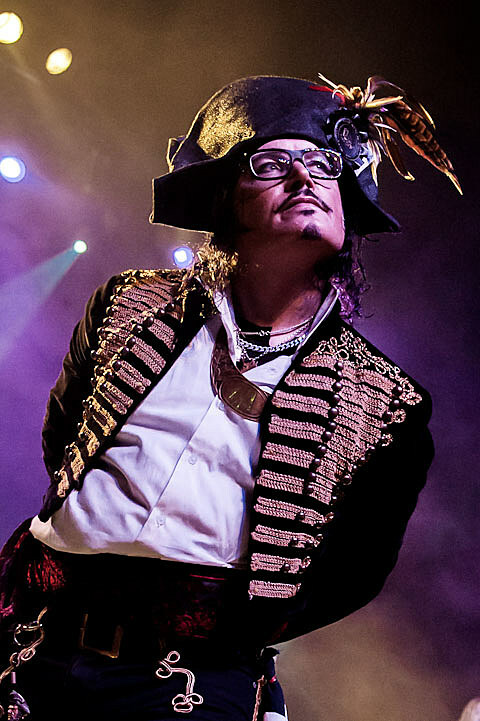 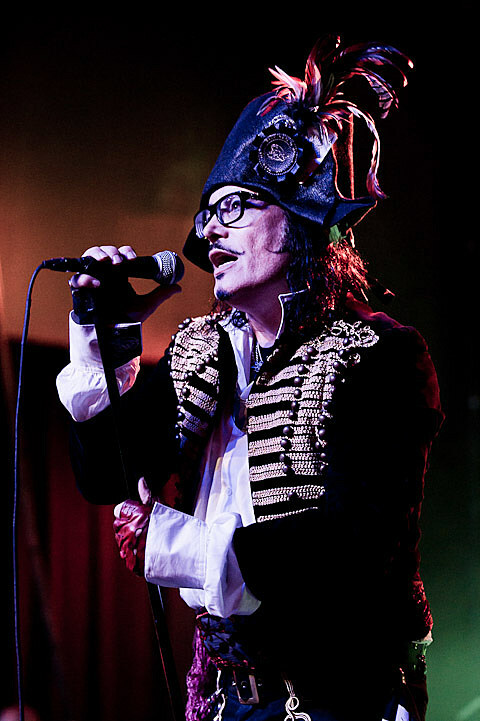 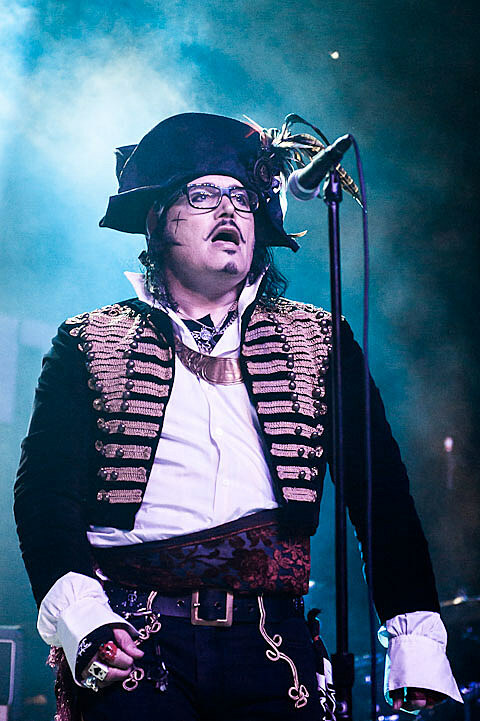 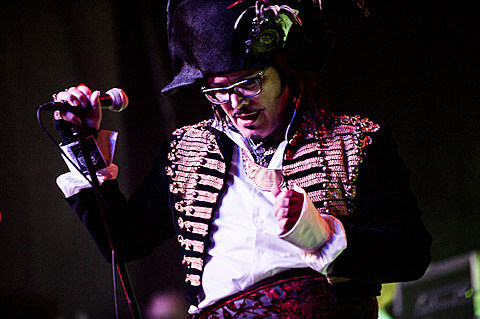 Ant has explained that the idea behind the album’s title is that the Blueblack Hussar is his classic Kings of the Wild Frontier-era persona, back from the dead, while the phrase ‘marrying the gunner’s daughter’ (an old naval term for a form of corporal punishment in which sailors were tied to a ship’s cannon and flogged) is intended by Ant to serve as a metaphor for how he believes artists are treated by the music industry. 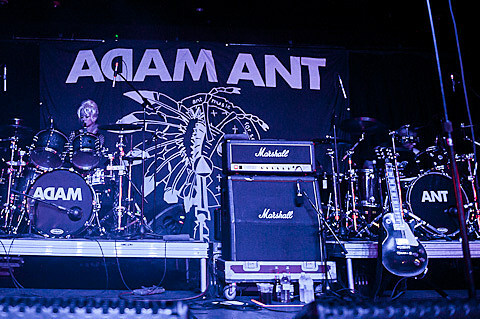 The album first started to receive attention after NME confirmed Ant was back in the studio in March 2010. 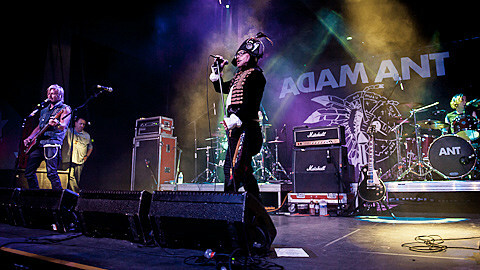 It was initially announced “Gun In My Pocket” would be the first single, backed with “Who’s A Goofy Bunny” as the B-side, a tribute to the recently deceased Malcolm McLaren. 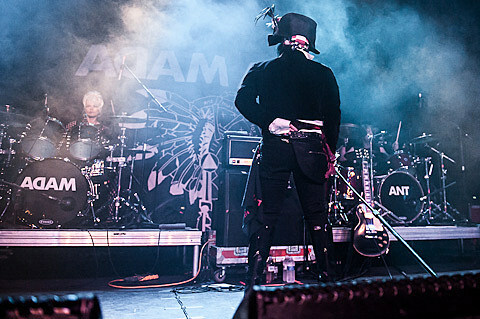 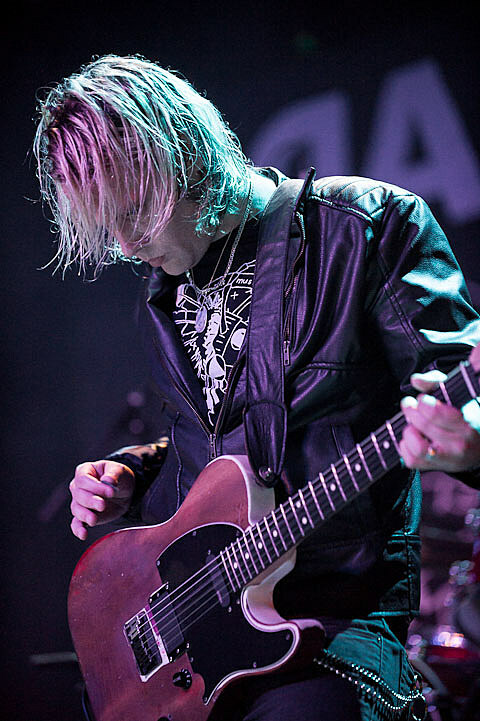 Ant also worked with Beady Eye member Andy Bell on a track called “Cool Zombie” however Liam Gallagher attempted to block its inclusion on the album. 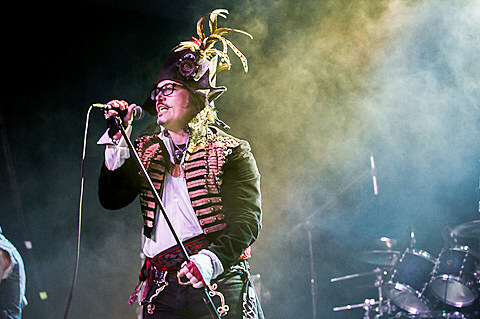 He’s also launching a similarly-named fashion label next year, Blueblack Hussar, which he was wearing for the performance.